Needless to say, creating a lighting installation for a daytime event presents some obvious difficulties. 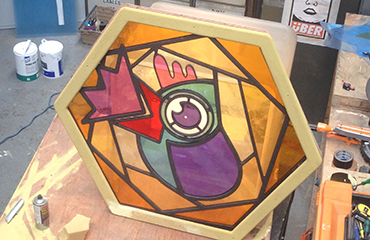 Rather than try and compete with the daylight bursting into the room, we decided to harness it; creating a mock stained glass window using the imagery of the event's brand. 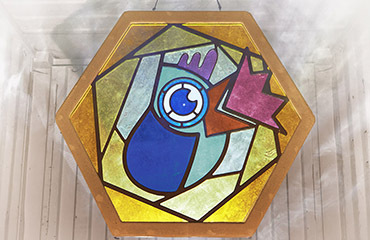 The piece can also be backlit with a rotating gobo spotlight and with a little haze, as in the video above. The result is quite simple, yet bright, bold and resplendent.